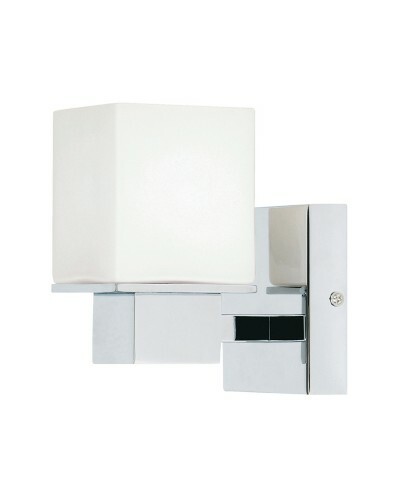 This Greenwich 1 light bathroom wall light has a strong defined profile with its Polished Chrome back plate and arm and square opal glass shade. A stylish wall light for any contemporary bathroom. This wall light has been specifically designed for use in the bathroom environment, although it can of course be used elsewhere within the home. It is IP44 moisture protection rated, which is the water ingress rating required for bathroom lights, making it suitable for Zones 1 and 2. Please check with your electrician before purchase to ensure suitability and fitting. Includes 1 x 40W G9 Halogen bulb.